“Even Richard Dawkins knows that Steve Rothery is God” … this was the statement that confronted me last night. It was printed on the back of the t-shirt worn by my brother-in-law, Colin. 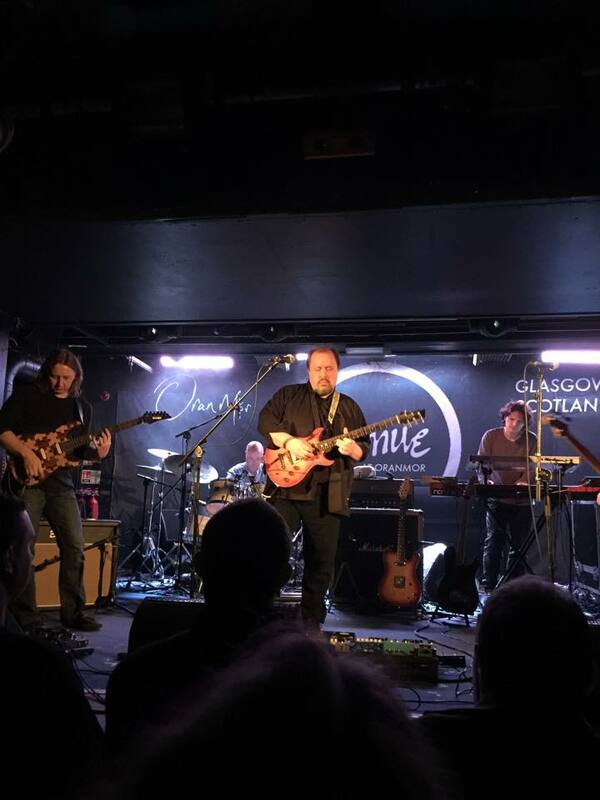 Colin, a lifelong prog fan, had invited me along to see Steve Rothery play a solo show in Oran Mór, one of Glasgow’s premier smallish music venues. 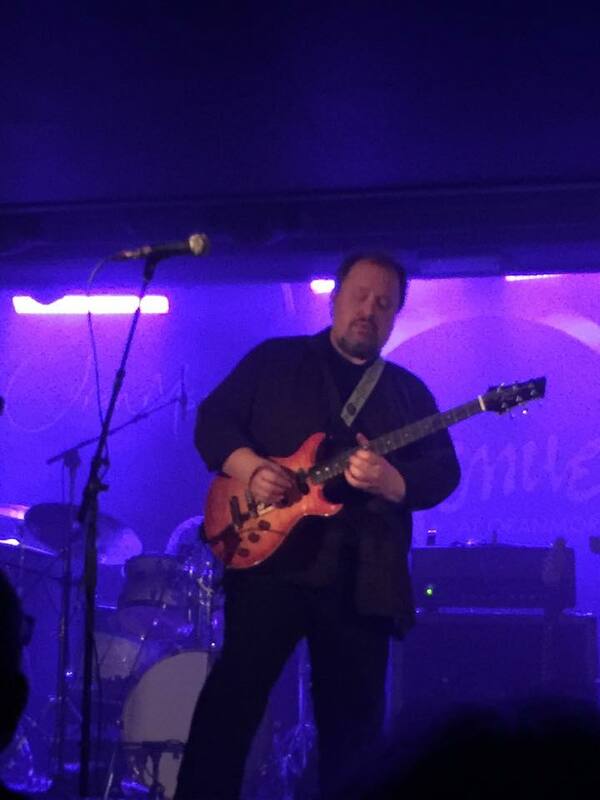 For him Rothery was God, for me … well I was yet to be convinced. Don’t get me wrong, I had bought the album Rothery was touring — The Ghosts of Pripyat — and was very impressed with his rather sublime guitar playing … but I wanted to see him play it live before I gave him my devotion. Let me digress for a minute. The album, The Ghosts of Pripyat, is an utter delight, an instrumental guitar-oriented neo-prog extravaganza with more than enough moments of ambient guitar to keep someone like me enthused and engaged. 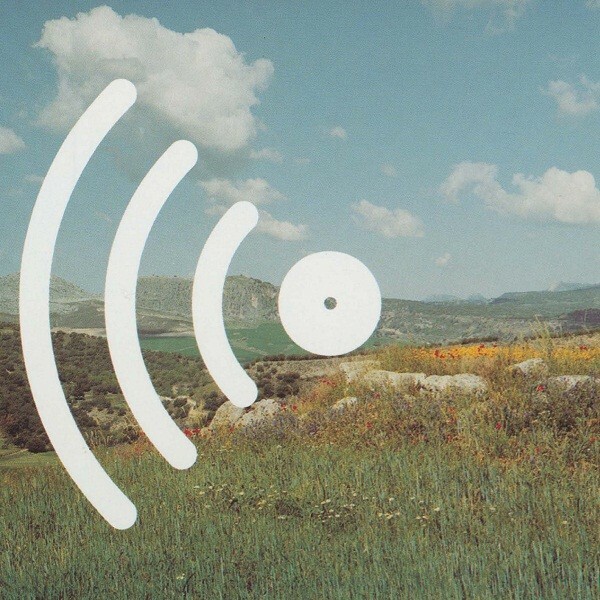 The album has atmosphere and a heartfelt authentic quality, factors I always look for. Rothery is 100% himself on this record, and that kind of authenticity translates well through the songs presented. Yes, Steve Hackett and Steven Wilson feature on the album, but this is most definitely Rothery’s album. Digression over, Rothery played his album in full, and it was simply astonishing. He sure can play the guitar! His tone is so warm and engaging, with a grace that is a sheer delight to watch as well as listen to. This was a guitarist’s gig … a point he noted during one of his conversations with the crowd. His “day job” is to play guitar for a band with two keyboard players, so this album was all about the guitar … and magnificent it was, too. Rothery played The Ghosts of Pripyat in its entirety, stopping between each track to engage with the crowd and provide a brief explanation of the inspiration for the next track. He was so comfortable doing this, so at ease — he was having fun & it clearly showed, playing as he did with guitarist Dave Foster (of Mr. So & So), drummer Leon Parr (formerly of Mosque), bassist Yatim Halimi (of Panic Room), and Riccardo Romano (of RaneStrane) on keyboards. I love his engagement with the crowd and I wasn’t the only one; the world-renowned Glasgae Banter was in full effect. This just added to the atmosphere of the evening. This is when I got it. This was the Church of Marillion, and Rothery was their object of worship. I could fully understand and did happily partake. Steve Rothery is an amazing guitarist, of that there is no doubt, but he is more than just a super-elite guitarist … he is part of something truly outstanding, part of a band that is utterly cherished. Tonight was proof of both these facts. Thank you, Steve! I am now a believer.